Q. Which is true about the prawns in the picture? 1. It is believed that by eating them you can be taller. 2. It is said that they symbolize longevity. 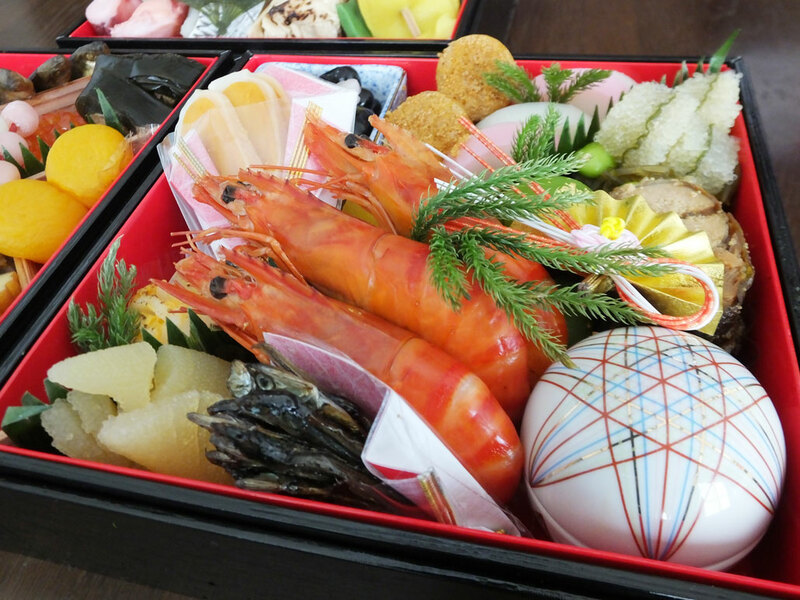 hint: This gorgeous bento box is what is called “osechi” or “osechi-ryori.” It contains traditional Japanese New Year foods, and each food has its own meaning. Prawns have long antennas, and their bodies are bent. In Japan, shrimps or prawns are sometimes associated with aged people, not short people. This is because some aged people have mustaches that are similar to prawns’ antennas, and their bodies are bent like prawns. People believe that if you eat prawns, you can live a long life like them. This is a very good meaning and perfect for osechi, because people pray for good fortune by eating osechi. Herring roe is often seen in osechi, too. “Herring” is called “nishin” in Japanese. “Ni” has the same sound as “ni (二)” (“two” in English), and “shin” has the same sound as “shin (親)” (“parent” in English). This is why herring roe means that two parents have many children like herring. 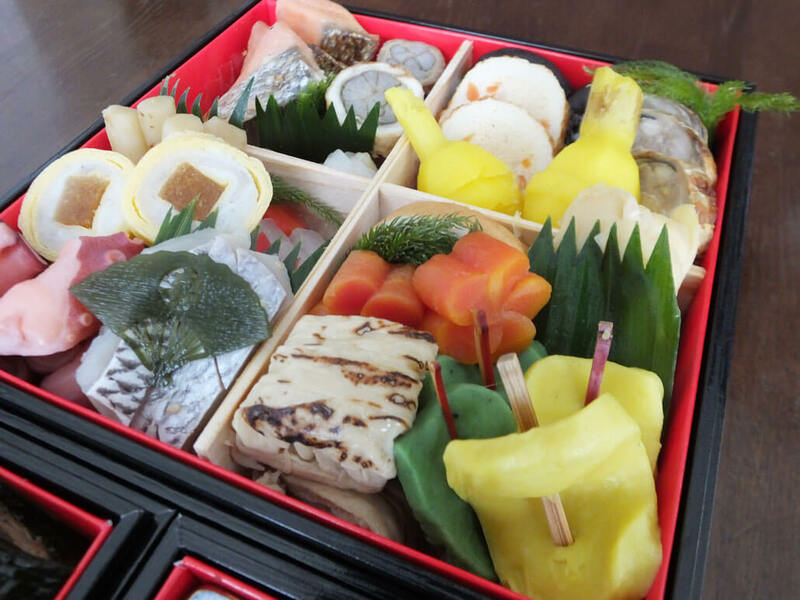 Like this, different foods in osechi have different meanings. 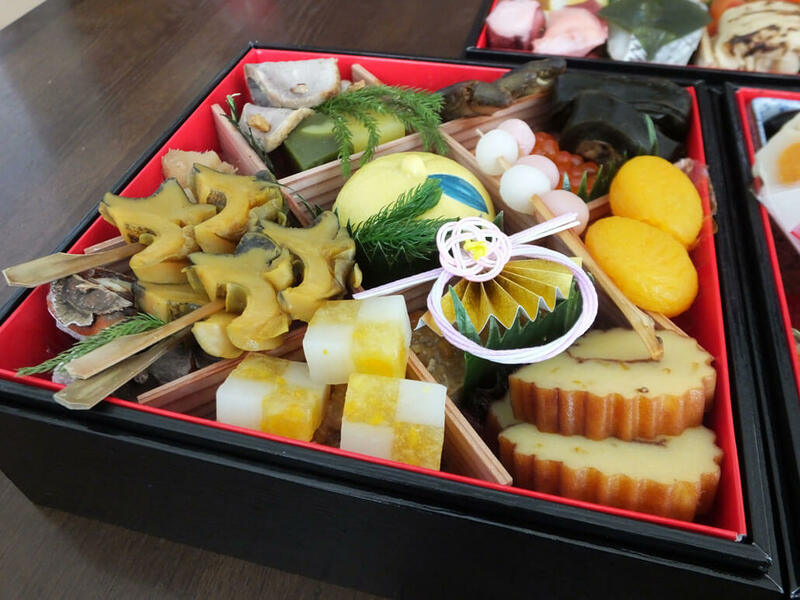 Though fewer and fewer people are making osechi by themselves these days, it is a Japanese tradition that women prepare osechi at the end of a year, and their family continue eating them from New Year’s Day to around January 3rd so women can have a break from cooking.